You can beat the Street. At a time when many professional investors lament that the proliferation of ETFs and widespread use of screening techniques have made it harder to find bargains in the stocN marNet, one simple investing approach continues to outperform: spin-offs. Spin-offs have long been a fruitful investment area; a number of academic studies show that they historically have generated far better returns than the overall stock market. A spin-off occurs when a corporation issues stock in a subsidiary to its shareholders to create a new public company. A related corporate event is an IPO carve-out, through which a company sells the public a stake in a unit, while retaining the rest of the division. (Sometimes, the remainder is later distributed to shareholders). The Bloomberg U.S. Spin-Off Index, composed of companies spun off from larger companies within the past three years, has outperformed the broader market by nine percentage points since the start of the year through Tuesday (February 26th). The 35 member index contains equities with a value over $1 billion that were spun-off from U.S. companies. The Index is paced by Fortive Corp (FTV), a diversified industrial company that focuses on professional instrumentation, automation, sensing, and transportation technologies, which was spun off by Danaher (DHR) tax- free on July 5th, 2016. Fortive holds a nearly 17 percent weigh in the Bloomberg Index. Fortive has jumped nealy 20 percent in the first two months of 2018. The Danaher separation of Fortive has created significant shareholder value. Since the breakup (7/5/16), Fortive has provided a total return of nearly 70%. The parent, Danaher also outperformed the market which returned 61 percent over the same period. The market (S&P 500) posted a 41 percent return. The Bloomberg Spin-Off Index returned 56 percent over the same time frame. 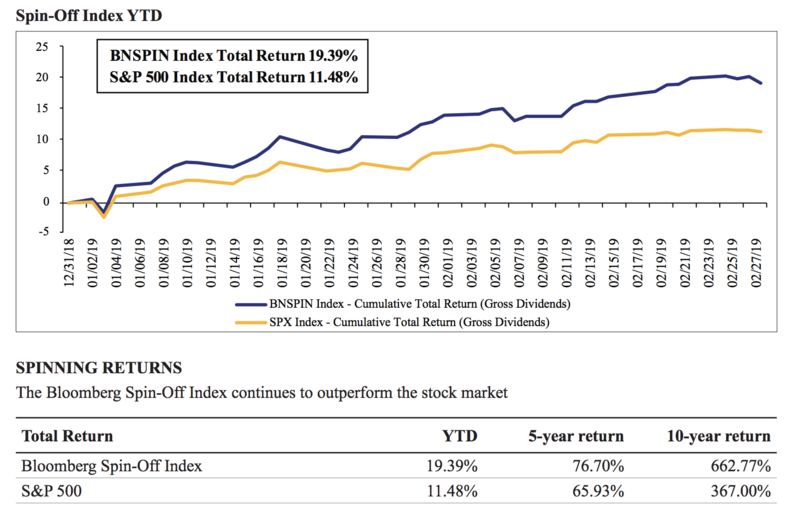 The Bloomberg US Spin-Off Index has surged 19.39% in the first 2 months of 2019. The S&P 500 Index has increased 11.48% year to date. The spin index generated a total return of 76.70% in the past 5 years (versus 65.93% total return for the S&P 500). The Bloomberg US Spin-Off Index has produced a total return of 973% since inception December, 31, 2002 (versus 342% for S&P 500 index). Versum Materials (VSM) and Apergy Corp. are the top performers in the index since January rising 76 percent and 57 percent, respectively. Why do spin-offs outstrip the marNet? Spins benefit from greater management focus and accountability as stand- alone public companies (versus when they were part of larger enterprises). The rational for spin-offs varies. Some companies wish to get rid of a weak or low-margin division that is detracting attention from the parent. Other companies seeN to highlight the attributes of a desirable unit whose full value may not be reflected in the parent’s stock price. There also is pressure on managements from the growing number of activist investors, whose prescription for a lagging stock often is a breakup. Among corporate executives, spinoffs of divisions have come in and out of favor over the years, but with one group they have been a steady crowd-pleaser: investors. Pfizer Inc. PFE -0.12% and Honeywell International Inc. HON -0.31% on Tuesday announced plans to hive off major business units in an effort to sharpen the focus on their core operations. The moves served as a reminder that even though such activity has slowed, handing businesses to shareholders remains a popular tool as company executives, often besieged by activist investors, find it harder to justify a vast sweep of businesses and pivot toward leaner and more focused operations. 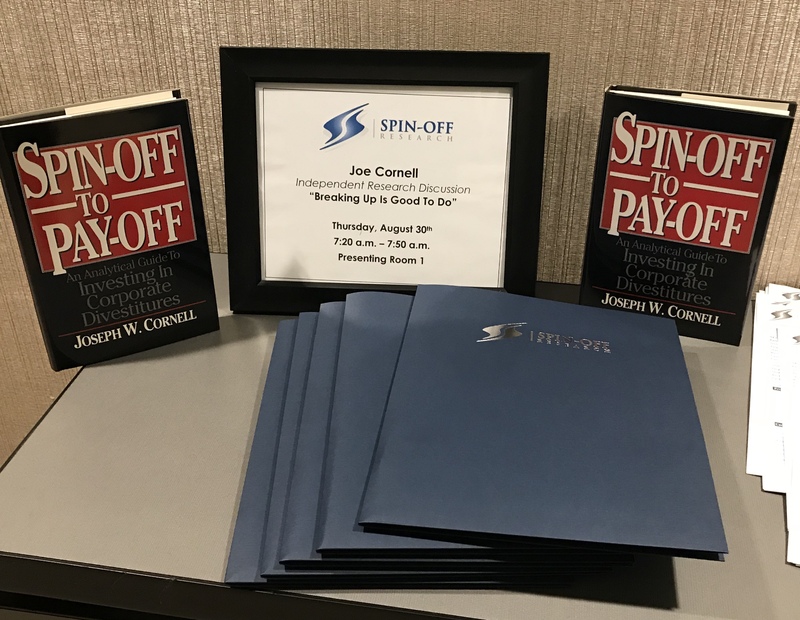 Companies use spinoffs—the act of turning a unit into a separate, publicly traded company by issuing newly created stock—to simplify their operations and shed unrelated businesses while avoiding tax bills that sales of divisions often entail. For investors, the appeal of spinoffs lies in their long history of outperforming the broader market, particularly in the years immediately following separation from a corporate parent. Including dividends, the S&P U.S. Spin-Off Index has outperformed the S&P 500 by nearly 190 percentage points over the past decade. The index is composed of companies with market capitalizations of more than $1 billion that have been separated out within the previous four years. Companies leave the index after that time has passed. “These companies go from being redheaded stepchild of some conglomerate where they have to go and beg for money to being able to allocate capital as they choose,” said Joe Cornell, founding principal of research firm Spin-Off Advisors LLC. Spun-off companies also tend to have management teams that are better incentivized, Mr. Cornell said. 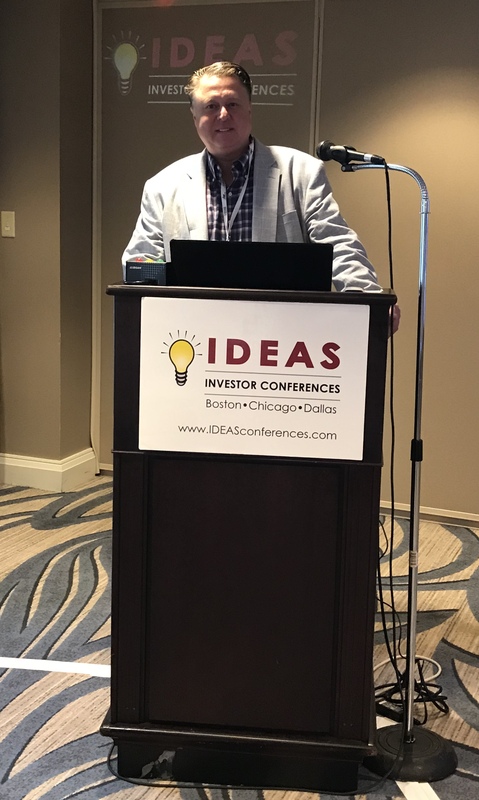 Hedge-fund and mutual-fund managers would rather invest in a specific business than a collection of businesses, and will assign a higher value to a stand-alone business, he said. Spinoffs can also help the parent company be valued by investors at a higher multiple of earnings. That helps explain why activists often push companies to break up or spin off one of their divisions. Hedge fund Third Point pressured Honeywell to spin off its aerospace unit in April. On Tuesday, the industrial heavyweight instead said it would cleave off about 20% of its revenue by spinning off its business that makes thermostats for the home and a unit that focuses on automobile turbochargers. Together, analysts estimate the businesses could be worth as much as $10 billion. Honeywell Chief Executive Darius Adamczyk said in an interview Tuesday that taxes were a key consideration in the decision to pursue the spinoffs. The company is open to acquisition offers for the units, but any price would have to exceed its projection of the spinoff value, he said. 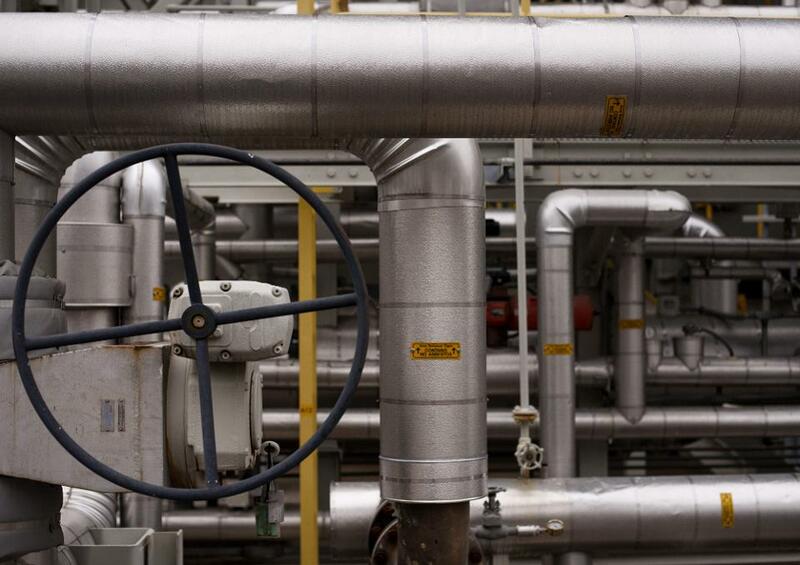 This year, Elliott Management Corp. pushed mining giant BHP PLC to spin off its U.S. oil-and-gas units into a separate publicly traded company. BHP said in August it would seek to unload the unit. Still, such activity has been depressed lately, in part as uncertainty over tax policy and other matters in Washington has put a damper on overall deal numbers. After spinoff volume surged in 2014 and 2015, there have been just 10 such completed deals so far in 2017—on track for the lowest annual level since Dealogic began tracking the data in 1995. But investors’ eagerness for such moves hasn’t diminished, as the performance of some recent high-profile spinoffs attests. In many cases, they have vastly outperformed the shares of their former parents. PayPal Holdings Inc.’s share-price performance has bested that of eBay Inc. by more than 30 percentage points, including dividends, since the payment firm’s July 2015 spinoff. Similarly, shares of ZoetisInc. have outperformed those of Pfizer by nearly 60 percentage points, including dividends, since the maker of pet medications was spun out of the pharmaceutical giant in February 2013. There are notable disappointments among recent spinoffs. Shares of HP Inc., which makes printers and computers, have outperformed Hewlett Packard Enterprise , a provider of IT services, since the latter was spun off in October 2015. The hope was that the spinoff would have room to grow without the profitable, but declining, printer business to weigh it down. Shares of HP Enterprise have risen 56%, including dividends, since then—versus a 68% gain for shares of HP. 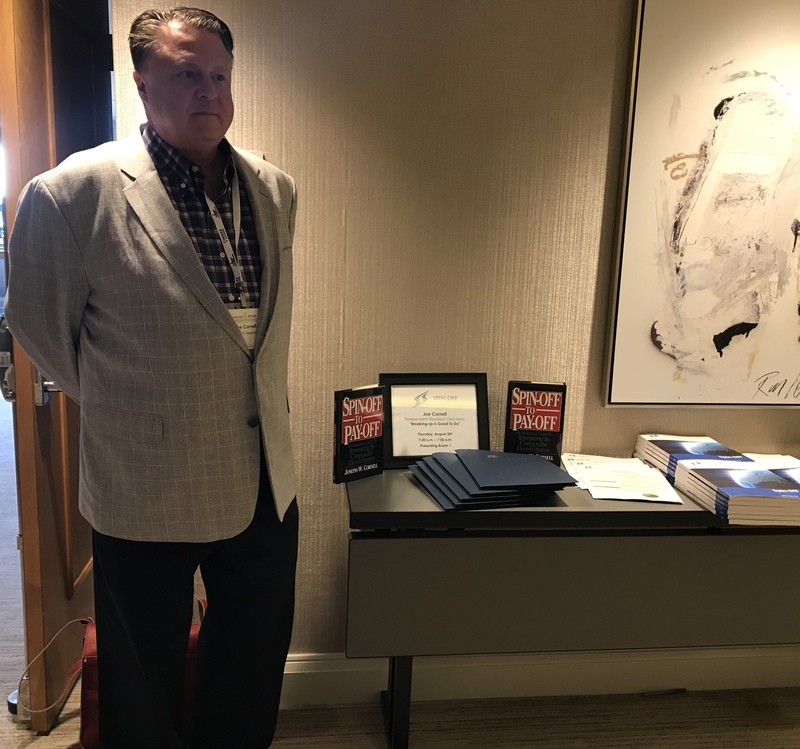 Activist investor Jana Partners LLC pushed oil-and-gas services company Oil States International Inc. to spin off Civeo Corp. , a lodging company for oil-field workers, just months before a downturn in energy prices sent Civeo’s shares tumbling in late 2014. Shares of News Corp , the owner of Wall Street Journal parent company Dow Jones, have underperformed those of 21st Century Fox Inc. —the original parent company—since the two companies split in June 2013. There are also plenty of examples of companies with a wide scope of operations that continue to prosper, like Amazon.com Inc. and Berkshire Hathaway Inc.
One group that benefits whether spinoff activity is ebbing or flowing, according to Mr. Cornell of Spin-Off Advisors: the bankers that reap hefty fees from arranging deals.